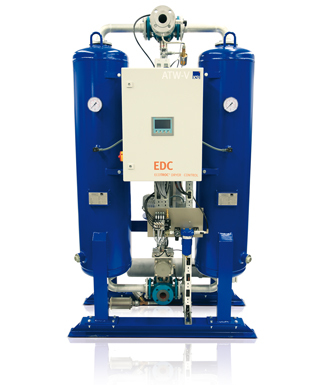 ECOTROC® ATW-V/VG sets new standards by operating entirely free of purging air, in combination with having a low regeneration temperature based on vacuum technology. In addition, it has a user-friendly and extensive control system. The overall system generates optimum effi ciency and top quality compressed air or compressed gas with constant linear supply at the highest level.